This week on the Lexicon Devil is devoted to all of the soon-to-be English majors. I’ve amassed a list of ten books you should strike off your TBR before classes begin in the fall. Today’s suggestions are two of the twentieth century’s greatest works of subversive fiction: Franz Kafka’s The Metamorphosis and Bradbury’s Fahrenheit 451. Truth be told, I didn’t read Fahrenheit 451 until I was in college and even then I read it independently. While I had heard the book mentioned in popular culture, I didn’t read the novel until my mother gave me a copy after my freshman year of college. At the time, I was deeply troubled by PATRIOT Act (I’m still troubled by it, to be honest) and the Bush Administration’s deeply flawed domestic and foreign policies. In true librarian mama fashion, she gave me a copy of Bradbury’s anti-censorship classic; though the novel didn’t prevent Bush’s reelection in 2004, it did help assuage some of my feelings of inert frustration. 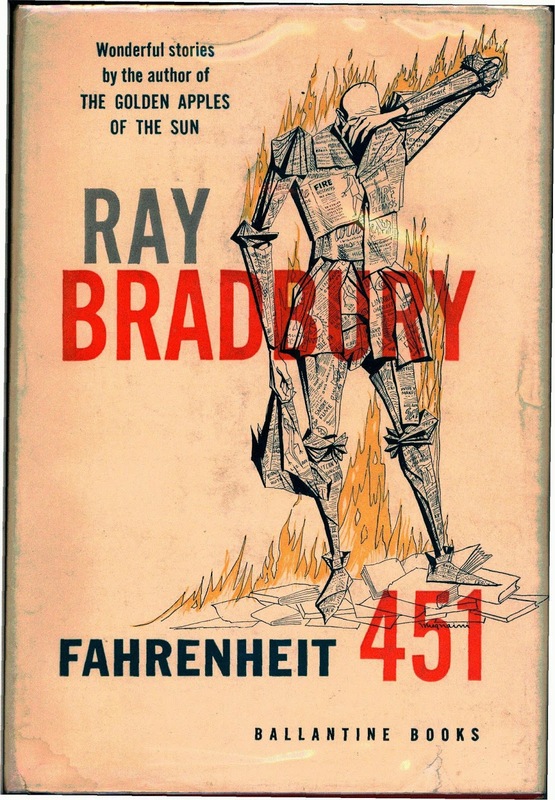 Fahrenheit 451 is a dystopian novel set in an anti-intellectual future where firemen confiscate and burn contraband books. 451 degrees fahrenheit is the degree at which paper burns. The novel’s protagonist, Montag, is a fireman himself who until a fateful meeting had never questioned the banality of his life, or the engrossing television-like entertainments that engrosses much of society and keeps it anesthetized and childlike. However, he is soon drawn into an illicit world of readers that calls into question all he has ever known about the world. What makes this book particularly brilliant (in addition to being about loving and preserving literature) isn’t just the inherent anti-censorship message, it’s the book’s assertion that even losing battles are worth fighting. When you’re a young adult, much of the idealism that carries you through your undergraduate years will disappear as the realities of work-a-day life sink in. Yet, even the understanding that your passion for *whatever cause* has an expiration date doesn’t mean that your youthful ardency is meaningless. The battles you fight when you are young may not be battles you win, but these skirmishes are still important, if only to yourself. The Metamorphosis was one of the first adult books I ever read that made me cry. On its most literal level, the story is about a traveling salesman named Gregor Samsa works to support his infirmed parents and younger sister. One morning, Gregor wakes up to find that he has been transformed into a gigantic dung beetle. Over the course of the novella, Gregor struggles to communicate with his family and they struggle to deal with their insect son. Spoiler: it ends badly. 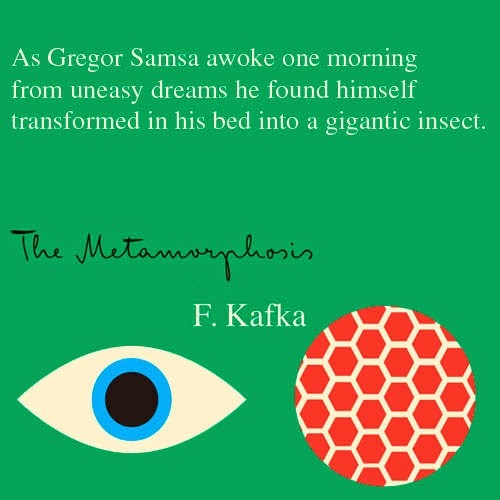 As a young adult The Metamorphosis acts as a sort of unintentional metaphor for growing up. Many of us, particularly those of us from disadvantaged or single parent families, have complex feelings of guilt of going away to college because we feel an outstanding obligation to our relatives; we feel an inherent responsibility to take care of everyone in our families before we take care of ourselves. Gregor Samsa stands as proof of the need to put yourself first once in a while. Come back tomorrow for installments 5 and 6 in the series!